Health experts are rightly alarmed that the world is unprepared for the next pandemic. So, when the rare and deadly Nipah virus broke out in the southern Indian state of Kerala in May, many feared that it would spread on the scale of SARS in China or Ebola in West Africa. But the authorities and the public controlled its spread. In the end, 19 people were infected and 17 died. Key to the response was Kerala’s past investments in education and health—the state ranks 10th in GDP among Indian states and territories, but first in human development. A Nipah infection leads to acute respiratory problems and brain inflammation. The virus—of which there is no vaccine yet—was first identified in among pig farmers in Malaysia, when it killed over 100 people in 1998. Cases now appear almost yearly in Bangladesh, and there were two previous occurrences in West Bengal, India. Its containment in Kerala was impressive because this Nipah strain was more deadly and infectious than the one in Malaysia. In the run-up to Wednesday’s elections in Pakistan, hard-pressed attempts at democracy seem to have given way to a fully-fledged circus. We have powerful, all-knowing ringmasters, caged lions, knife-throwers, trapeze artists flying from perch to perch, even cruelty to animals is included. Ours is a circus which looks to be performing its last show before it shuts down – evidenced most clearly by its last act, the clown. The political record of the former cricket star Imran Khan, who is thought to be near to victory due to the backing of Pakistan’s powerful military establishment, has long been one of opportunism and obeisance. ON JULY 25th Pakistan will hold a general election that ought to be a historic marker for democracy. Around 106m registered voters have the chance to participate in only the second transfer of power between civilian governments in the nation’s coup-studded 71-year history. Yet it will probably be remembered for other reasons. Until just over a year ago, it seemed certain that the incumbent, pro-business Pakistan Muslim League-Nawaz (PML-N) would win a second term, boosted by their success in tackling nightmarish power-cuts. Today the polls are neck-and-neck, however. 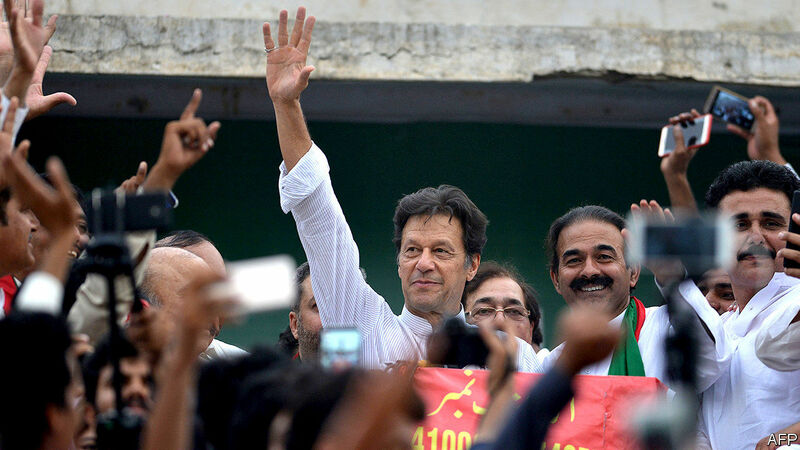 The Pakistan Tehreek-e-Insaf (PTI), led by Imran Khan (pictured), a former cricketer, has surged as its rivals, civil-rights groups, and media organisations claim the country’s powerful army is tilting the field in its favour. Why are the generals interfering? Any party in power must therefore accommodate military interests while cautiously seeking ways to expand its influence without antagonizing the generals. It's unlikely that the military will cede its authority to the civilians no matter who wins, even as the chances of another coup have lowered. Philippine President Rodrigo Duterte’s time in office has shown how a charismatic, populist leader can recalibrate a country’s foreign policy almost single-handedly. Under his watch, the Philippines has pursued an “independent” foreign policy, one that is less hostile to China and less dependent on the United States, the Philippines’ sole treaty ally and former colonizer. As a result, the Philippines’ relations with China have entered a new “golden age,” in Duterte’s words. At the same time, his popularity does not give him unilateral power over the Philippines’ foreign and defense policy—at least not yet. His aggressive push to reorient Philippine foreign policy has been met with stiff resistance at home, especially from the defense establishment and pundit class, which remain wary of China. Indeed, the policymaking landscape remains highly contested, with the president constantly having to incorporate the views of other veto-wielders within the Philippine elite. Economics remains the guiding linchpin in measuring the broad status of China’s military modernization efforts, but this effort should not be performed in isolation. If US combat commanders want to measure the strength and reach of China’s military power, they will need to assess three interlocking components of Beijing’s strategic mindset. First, proper characterization of Beijing’s current military strategy reveals a China interested in regional power projection. Its force-modernization efforts are guiding transformation efforts into a professionalized force with technologically advanced air and naval capabilities for sustained engagements. Initially aiming to project and protect regional national interests, Beijing invariably seeks to shape the decisions of competitors, parlaying with regional actors while shaping regional security architecture favorable to itself. 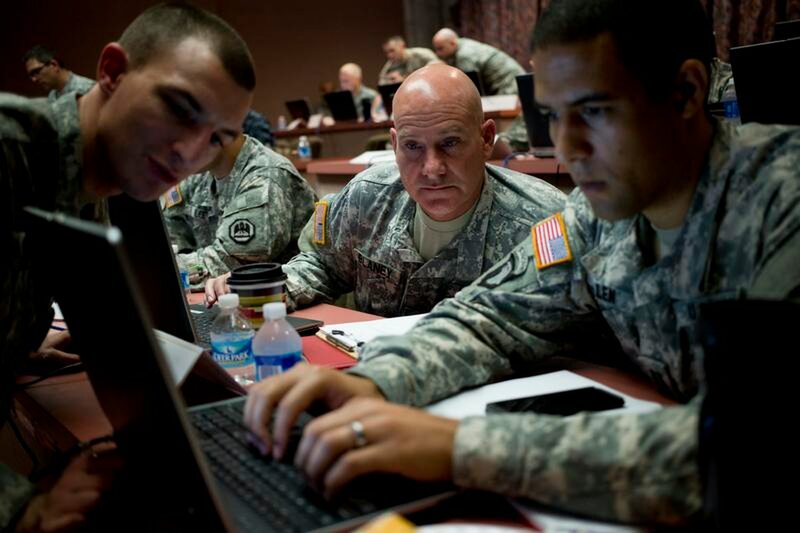 This objective is achieved by fielding C4ISR (command, control, communication, computing, intelligence, surveillance and reconnaissance) capabilities. The 20th century, however, witnessed the succession of Japanese imperialism, decolonisation, multilateralism and cold war proxy competition, all of which have left an indelible mark on East Asia’s patterns of interaction. The confluence of these legacies forms the complex backdrop to disputes such as the South China Sea, where pre-colonial coexistence has morphed into intricate military and legal manoeuvring to exclusively demarcate what for most of history has been shared. Amid the current military escalations and adversarial legalism clouding the maritime domain, how can the South China Sea disputeS be settled using modern tools of statecraft while reviving the region’s ancient spirit of mutuality? The Taiwanese government is claiming that the People’s Republic of China would invade the island state if the United States withdrew its support for Taipei. However, it is dubious that Beijing has the amphibious assault capacity or capability to conduct a successful sea-based invasion of Taiwan where a forcible entry is required. Beijing could potentially get around some of those challenges, but even then a successful invasion of Taiwan by Chinese mainland forces seems dubious at best. Rumors continue to swirl of a political uprising in China. We touched on them earlier this week, but we didn’t delve into them because they were unverified and, frankly, hard to believe. And while they remain unsubstantiated, it behooves us to consider exactly what has been said and why. Last Friday, online reports indicated that gunfire had been heard for roughly 40 minutes in Beijing near the Second Ring Road. The reports claimed it was a violent spasm by groups that sought to overthrow Chinese President Xi Jinping. The following day, French public radio reported it had heard rumors that former Chinese leaders, including Jiang Zemin and Hu Jintao, had allied with other disgruntled Chinese officials in an attempt to force Xi to step down. A Hong Kong tabloid went so far as to suggest that Wang Yang, chairman of the Chinese People’s Political Consultative Conference, might be the compromise leader next in line. During the last days of 2017, small demonstrations in Iran mushroomed into a nationwide movement, eventually engulfing eighty-five cities. At the time, the protests were thought to have provoked the poor working classes to revolt against economic mismanagement and financial decline. Such a turn of events would have been consequential: these workers were once seen as the last bastion of the Islamic Republic, tied to the regime by the welfare state and a sense of religious piety. The regime’s corruption and its squandering of Iran’s resources on Arab civil wars appeared to have driven away one of its last sectors of support. 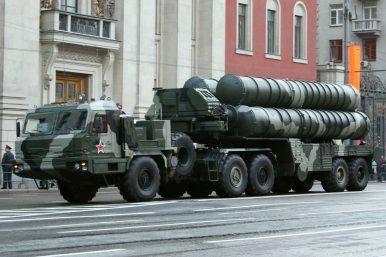 EXECUTIVE SUMMARY: Why has Russia under Putin acknowledged Israel’s need to prevent the buildup of an Iranian military presence in Syria? Putin’s vision is to cement an alliance of minorities against the Sunni majority in the Middle East. 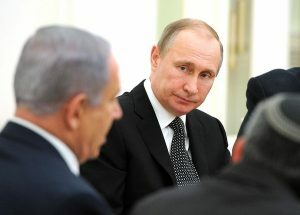 Israel could be a valuable participant in making that vision a reality – but only if Moscow works to rid Syria of the Iranian presence, joins forces to topple its Islamist regime, and weans the Alawite regime in Damascus away from Tehran. Ever since September 2015, when Russia turned the tide of the Syrian civil war in the Assad regime’s favor through strategic air power (and subsequently on the ground, where it brokered truces and withdrawals of rebels from strategic areas in Syria to the rebel stronghold in Idlib), Israel has been heavily pounding Syrian, Iranian, and Hezbollah forces. Rather than attempt to dismantle barriers to U.S. exports, the Trump administration is seeking to keep imports out of the United States. European Commissioner Jean-Claude Juncker will strive to head off the possibility of new U.S. tariffs on vehicles and their parts by offering a trade deal when he visits the United States this week. 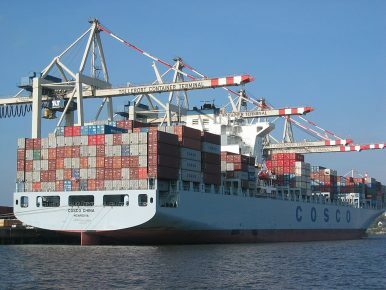 Because Germany has the most to lose in the current trade climate, Berlin will seek French support for a small trade deal that will solely focus on manufactured goods. But with few prospects of a deal, the United States is only likely to pull back if Trump is subjected to domestic pressures, rather than as a result of Europe's offer. Iran's strategy to get the European Union and other economic partners to push back against unilateral U.S. sanctions will fail. As sanctions hit Iran's economy, the country will eventually have to resume negotiations with the United States, but it will try to wait until President Donald Trump leaves office. In the meantime, Tehran will consider restarting its nuclear program as leverage in talks with the United States to keep other more important issues off the table. 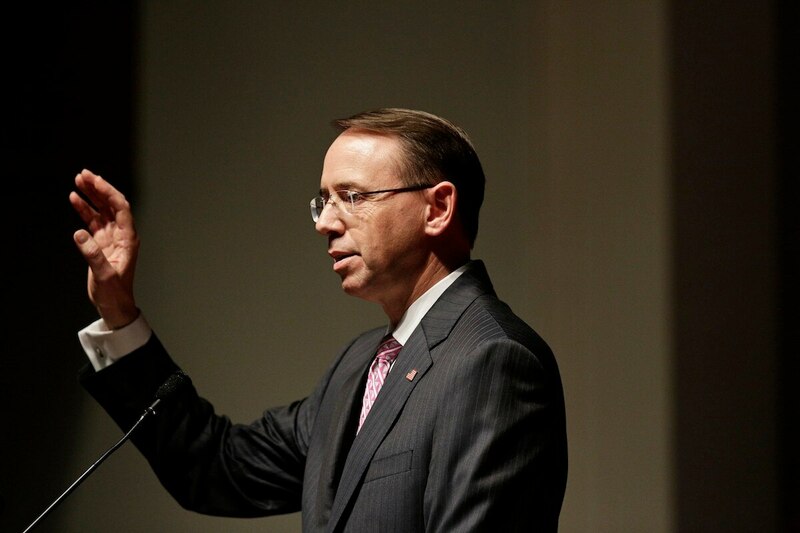 The Justice Department has pledged to attribute foreign cyberattacks, hacking and disinformation intended to sway American elections as part of a new policy. The hope is that by identifying the attackers it can help to avoid a repeat of the 2016 presidential campaign, when the Obama administration was largely silent on Russia’s influence operations. But experts and government officials have raised questions about the effectiveness of the Justice Department’s new policy, released July 19. The department said in a new report that it would consider a range of actions in the face of a foreign effort to undermine the democratic process. They might alert targets of the influence campaign. They could notify technology companies if they are being used to spread disinformation. They might just call out the influence operation in a public statement. In his first public comments since assuming the head of U.S. Cyber Command, Gen. Paul Nakasone said the Department of Defense is taking a more aggressive approach to protect the nation’s data and networks and aims to stay ahead of malicious cyber and information-related activity. 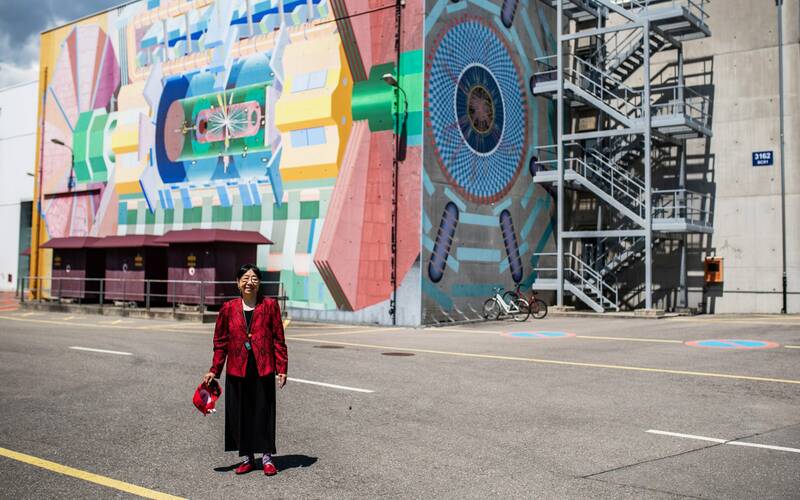 Harking back to Soviet big science, a 10-point plan calls for new organizations and focus areas, from job training to a giant new R&D campus. The Russian Ministry of Defense is pursuing artificial intelligence with an urgency that has only grown since Vladimir Putin’s “rule the world” speech in September. But after several years of watching American and Chinese researchers accumulate breakthroughs and funding, while Russia continues to lack a relevant high-tech culture, Ministry leaders have decided that if they can’t outspend their global competitors, perhaps they can out-organize them. The U.S. military is trying to manage foreign conflicts — not resolve them. Here’s why. A U.S. soldier assigned to provide security to the Army’s new 1st Security Force Assistance Brigade stands near a mine-resistant armored vehicle on the outskirts of Kabul, Afghanistan, on June 2. In the wake of the Iraq “surge” from 2006 to 2008, it looked like the United States had cracked the code for defeating insurgencies overseas: putting boots on the ground to provide services and security that win cooperation from civilians and defecting militants. This optimism has disappeared in the last decade. The successes of the surge in Iraq turned out to be tenuous, and the model largely failed from 2009 to 2011 in Afghanistan. Troops could secure villages, and development aid and governance programs might follow, but broader political forces — from factional rivalries within local governments to the interventions of external states — could easily unravel village-level gains. Ten years ago, stories about endemic violence in the Darfur region of Sudan often made headlines in the West. The conflict there continues sporadically but is all but forgotten today. This month, the Security Council agreed to slash the number of peacekeepers in the joint United Nations-African Union Mission in Darfur, or UNAMID, by almost half, with a view to closing the mission entirely in 2020. The decision created barely a ripple beyond the council. Nonetheless, the drawdown of UNAMID potentially marks a turning point for U.N. peacekeeping operations. As I have previously noted, the mission is one of five big blue-helmet operations in volatile countries in Africa that now represent the bulk of the organization’s peacekeeping work. The others are in the Central African Republic, Mali, South Sudan and the Democratic Republic of Congo, or DRC. All five face recurrent violence. None has a clear exit strategy. But Security Council members, notably the U.S., insist that these missions cannot continue indefinitely. So how will they end?